A subscription TV service isn’t the only add-on we could envision for the new Apple TV. 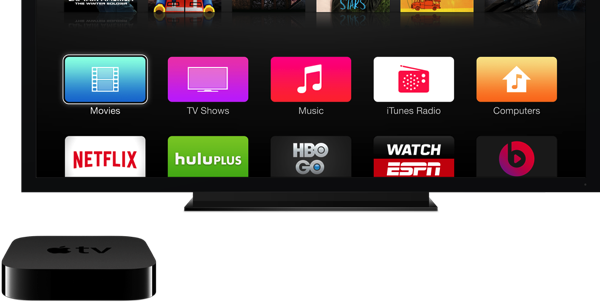 With the introduction of an App Store in tvOS, it would also be convenient if the set-top box had some multitasking capabilities. Developer Steven Troughton-Smith whipped up an app for the device with picture-in-picture support that looks right at home on tvOS. Troughton-Smith was the same developer who gave us a peek at iPad split-screen multitasking well before Apple started offering it. The A8 chip that powers the new Apple TV is plenty powerful to support picture-in-picture. Support for the feature isn’t built into the box yet, but we can’t imagine official support for this will be too many software revisions away. Older smart TV platforms like Google TV and Yahoo Widgets! handled some form of multitasking. If the future of TV is apps like Apple says, they will need to figure this out along the way.